The basketball season is officially underway - and so is the holiday season! If you're slacking on your holiday shopping this year, use this basketball gift guide for inspiration. 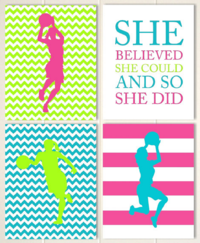 Your favorite basketball player, coach or fan will thank you. If you're worried about gifting someone an item that they might not use, tickets to an NBA or NCAA basketball game are an excellent idea. You can find the closest team and check out the home schedule. Gift them an experience that they will remember and can enjoy with a friend or family member. 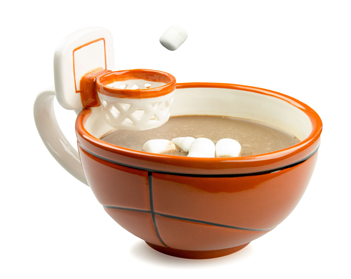 For the basketball fan, coach, or player who wants to practice their slam dunk skills at the kitchen table. This clever creation is conveniently oversized so you can eat soup, cereal, ice cream, and whatever else using it. The hoop mug is also ceramic and dishwasher safe for easy cleaning. A full-sized basketball hoop can set you back a couple of hundred dollars. 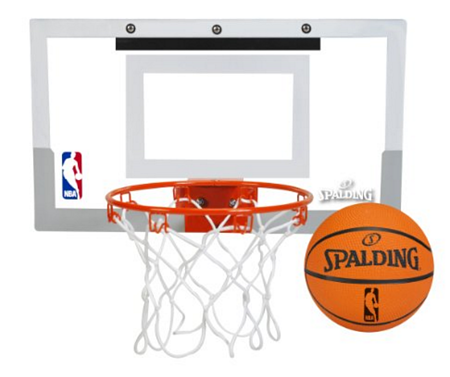 But you can easily find a mini basketball hoop for a fraction of that price (and sometimes twice the fun)! 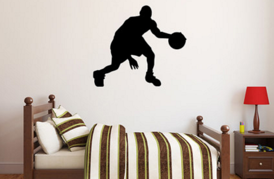 Whether the recipient will hang up this basketball hoop in their bedroom, dorm room, or the office, you're guaranteed a slam dunk with this gift. 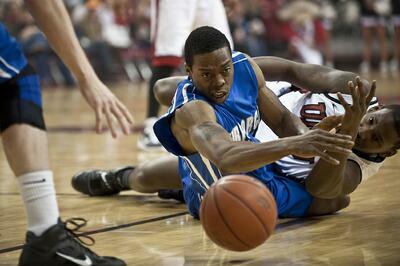 Basketball fans, coaches, and players love to show their love for the game. To make it a meaningful gift, you can search for handmade wall decals and other room decorations on Etsy, the marketplace for all things handmade. Many items can be personalized to fit the recipient's style and room. 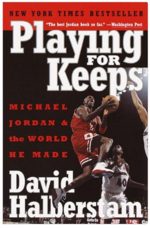 This book walks you through the epic life and career of basketball star Michael Jordan. According to Amazon where you can purchase the book, it is "a narrative of astonishing power and human drama, brimming with revealing anecdotes and penetrating insights." This is a touching coming-of-age story that teaches great lessons about losing. Pat Conroy takes you back to his senior year playing for the Citadel Bulldogs in a captivating and powerful story. Between practice, games, tournaments, and simply lounging at home, players and coaches go through basketball gear like crazy. An extra jersey or clean pair of shorts are always needed. Or keep them warm and dry on and off the court with new warmup pants and a jacket. Warm ups are also important for preventing injuries such as pulled muscles. 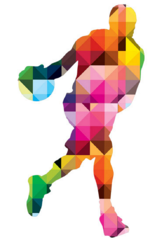 If their basketball team doesn't provide a lot of gear for the players and you know that others are interested in ordering more team branded gear, you can talk to the Team Parent or coach about creating an online store where players or parents can order team gear. It takes 5 minutes to set up and would be a great idea to help the team fundraise around the holidays! This might sounds like an incredibly boring thing to gift, but not all basketball socks have to be boring. Buy them a unique, fun pair of colorful or printed socks that they'll want to show off at practice. 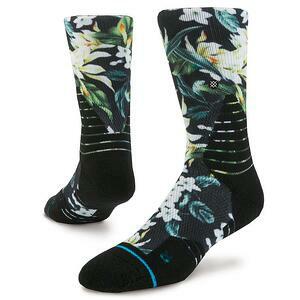 You can find socks to suit any style - from floral print to patriotic. 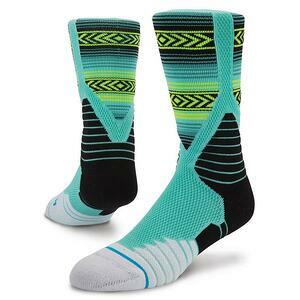 Every basketball player is always in need of a fresh new pair of basketball socks to keep their feet cool and dry. 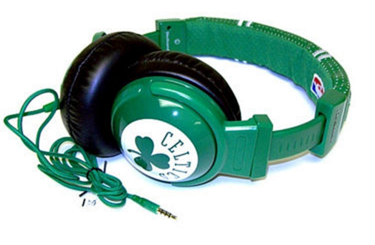 Every basketball player needs a nice pair of headphones to chill out to music before a big game. The NBA basketball headphones by Skullcandy are a great choice for a fan or player to show their support for their favorite professional team. 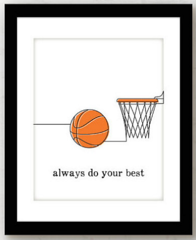 A classy gift for your mature basketball player or fan. They would also be an excellent end of the season appreciation gift for a coach. The best part about these cufflinks is that the recipient will be able to treasure them for many years to come. These cufflinks from Uncommon Goods are handmade using the reclaimed floors at Madison Square Garden and Boston Garden. This is the same court that the Boston Celtics won 16 of their 17 championships. The cufflinks are set in sterling silver and engraved on the back with the name of the arena. Make a slam dunk with your holiday gifting this year and get your basketball player, coach, or fan something they'll find useful and unique. I hope you found this list of basketball gifts useful. Happy holidays from our team to yours!